Under Marsy's Law, victims of a crime have certain rights, but these rights must be asserted. You can assert your rights to the law enforcement officer at the time of the initial response or anytime thereafter by contacting the prosecuting attorney's office. To prevent disclosure of information or records that reasonably could be used to locate or harass you or your family, or which disclose confidential information about you, and to be notified of any request for such information. To receive reasonable notice of, and to be present at, all court proceedings. To refuse an interview or discovery request made by the defendant, the defendant’s attorney or any person acting on behalf of the defendant, and the right to set reasonable conditions if you do consent, all consistent with constitutional requirements. To be heard in any proceeding involving release, plea, sentencing, adjudication, disposition or parole, and any proceeding where your rights are implicated. To provide information regarding the impact of the defendant’s conduct in any pre-sentence investigation, to have that information considered in sentencing or disposition recommendations, and to receive a copy of a pre-sentence report or plan of disposition, when available. To receive a copy of any non-confidential record relevant to the exercise of your rights. To the prompt return of your property when it is no longer needed as evidence. To restitution for all losses suffered as a result of the criminal or delinquent conduct. To be informed of the defendant’s conviction, adjudication, sentence, disposition, place and time of incarceration, detention or other disposition, any release date or the defendant’s escape from custody or commitment. 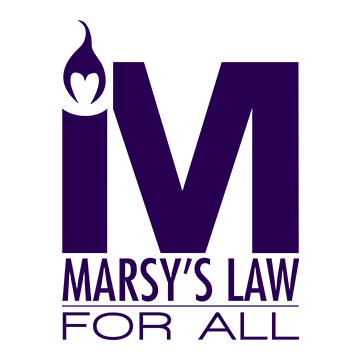 Read this brochure to learn more about Marsy's Law.